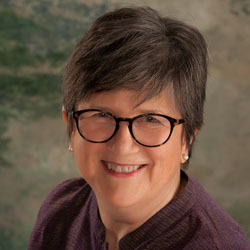 Professional Counseling Services - Portland Jungian Analyst - Carol Walnum, MA, MBA, LPC. Carol Walnum offers professional counseling services to adults and young adults (starting at age 25) who wish to address inner and outer life issues. Inner issues oftentimes cause people to suffer and to feel dispirited. Carol works with individuals coping with outer issues, such as loss or sudden changes in life, such as change in one’s work or location. Her practice is diversity friendly. Adult children of self-centered parents and adults recovering from relationships of “intimate terrorism” of narcissism with such a parent or partner. Issues that do not fit neatly into categories or labels; working to recognize what is trying to get your attention. Carol participates in continuing clinical education and training, clinical supervision, and consultation as a part of her professional counseling services and her standard of care. Having worked with individuals in the U.S. and in other countries, Carol bears witness to the fact that with help, people can enter more fully into life and better engage in life’s unique meaning for them and their communities. Carol works from the belief that a person should have the opportunity to best fulfill his, her or their authentic and individual nature in life and in work. When movement toward those goals occurs, psychological struggles take on meaning, and suffering can diminish. Strife and challenges are explored as a means for growth and transformation in her practice.